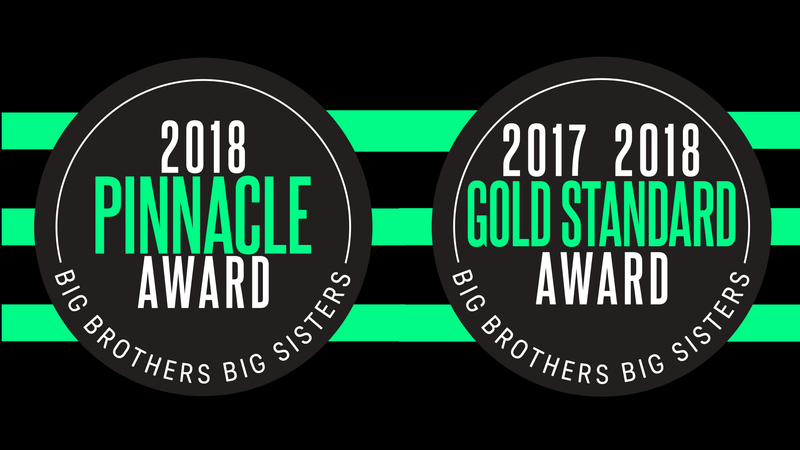 For the first time in its 54-year history, the Big Brothers Big Sisters of Tampa Bay agency has been named a Pinnacle Award winner for 2018 by Big Brothers Big Sisters of America, the nationwide mentoring organization’s highest honor. – The award, announced by the Big Brothers Big Sisters Nationwide Leadership Council, recognizes the very best local agencies for increasing their revenue and growing their overall number of Big & Little matches year-over-year for two or more consecutive years. In 2018, the Tampa Bay agency served a record 3,014 children, a 5.6 percent increase over 2017. AT BIG BROTHERS BIG SISTERS OF TAMPA BAY, WE PROVIDE BOTH CHILDREN AND MENTORS THE ESSENTIAL TOOLS TO DEVELOP LIFELONG, PURPOSEFUL RELATIONSHIPS.